BT has deemed the super-ultra-fast broadband trials it was running in Cornwall a success, promising a commercial roll out in early 2013. When we say super-ultra-fast broadband, we're talking about 300Mbps fibre-to-the-premise (FTTP) which will see fibre laid all the way to your actual home, as opposed to fibre-to-the-cabinet (FTTC) which is slower because the fibre runs only to those messy green boxes on the street that are forever being vandalised. The trials in St Agnes, Cornwall, saw BT testing a solution that allows it to use the existing to-the-cabinet fibre then adding on the to-the-premise bit afterwards, something it calls 'FTTP on demand'. With the aim to start rolling out the 300Mbps FTTP broadband by Spring 2013, that leaves a good year to fill. Luckily BT is planning to introduce a faster variety of FTTC in 2012 as well, set to double today's downstream sppeds from 40Mbps to 80Mbps, complemented by upstream speeds of 20Mbps. 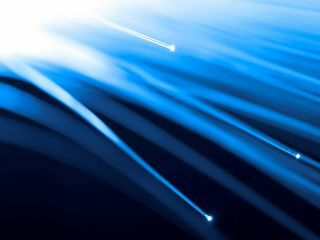 Over 7 million UK households can now access fibre broadband over BT's network, with the company hoping to see this figure rise to ten million in 2012 and to two-thirds of the UK by the end of 2014.